Impact entrepreneurship refers to the organisation of factors of economic production- ideas, effort, networks, labour, capital, land, machinery- towards solving a social and/or environmental problem for a neglected population of people, animals or nature in a manner that generates measurable financial returns, social and/or environmental impact. Financial returns: that may be achieved at below, equal to or above market rates in a manner that ensures that the targeted beneficiary populations have access and can afford the solution while catalyzing reinvestment to achieve depth and breadth of impact. Africa has a population of ~1.2 billion people. Africa’s GDP (a measure of economic output) increased 5% between 1995-2005. The rate of this growth has slowed and is expected to be 3.2% in 2018 (WorldBank). Note that most of this growth is driven by services and commodities export. This type of growth essentially benefits the professional middle/upper classes, expatriate professionals, politicians, cronies of politicians and corporations- essentially the already privileged. With high levels of corruption, any benefits that should come in as income taxes to the government tends to be lost, making these groups even richer as a result and promoting social inequality. Witness the high number of people from Africa in these social groups in the Panamagate Papers and the stealing away of income tax by corporations of up to $68 Billion every year. Note that Africa receives $19 Billion in aid annually. As a result of these factors, Africa’s GDP growth is non-inclusive and there are more people living in poverty now than 30 years ago. Today, 430 million people live in extreme poverty in Africa versus 200 million people in 1981. Compare this sorry state in Africa to China. 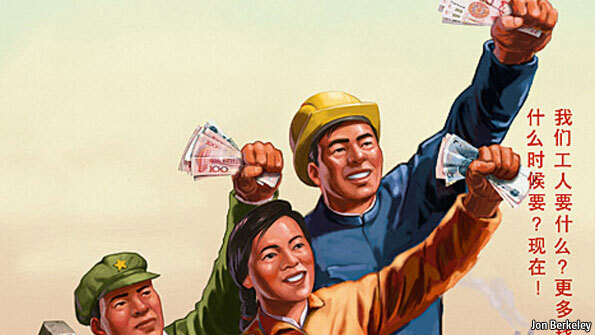 In 1978, China began to pursue market reforms focused on social impact. Their economic policies were aimed at providing waged employment to their large population. They pushed for localized investment especially in manufacturing (i.e. investment that traps technology and economic returns) and exports. China has a population of 1.3 billion people. Its GDP grew 10% annually from 1981 to 2017. It took 800 million people out of poverty. China met all the millennium development goals by 2015. In 1981, 88% of its population was in poverty. In 2018, 2% of its population (i.e. 30 million people) lives in poverty. By 2020, no Chinese is expected to be living in poverty. Africa has prioritized financial focused market reforms. China prioritized social impact focused market reforms. The difference in poverty reduction is clear. With similar size in population, China has no one falling into extreme poverty, while Africa drops 5 people into extreme poverty every minute. Because of state capture by foreign corporations and kleptocracy in government, Africa’s political system is not designed to solve social problems and the sad trajectory willnot end using current market oriented policies. Pure market interventions in Africa mostly aim to create local monopolies and enrich state cronies. 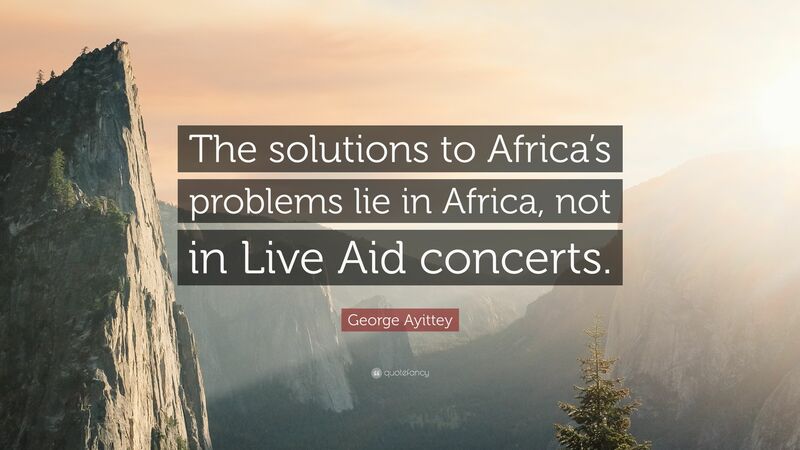 Foreign aid on the other hand distorts local markets preventing commercial development of locally adapted solutions, offshoring the bulk of the aid value chain and making Africans into unemployed dependents. Even worse, it robs the African people of self belief in their ability to innovate their own solutions and makes them mental slaves always ‘extraverted’ for the next foreign intervention. Given these unique factors, Impact Entrepreneurship or what we can define as capitalism with heart is what Africa needs to solve its myriad social problems. Africa’s young people need to begin to steer towards capitalism with conscience for the common people, their communities and environment. Africa’s youth should stop idolizing predatory capitalists who have made their wealth off state capture and promoting self-aggrandizing industrial policies. Africa’s youth should begin to work on social impact ventures that solve widespread social problems that have been neglected by the political elite. Platform that helps the public track public income, allocation and distribution. Budgit does this. These ideas are not exhaustive but they go to show that while Africa does have a lot of social problems, the continent needs a new type of capitalism and capitalist leaders. Africa’s social systems need to understand and promote impact entrepreneurship as against the current widespread predatory capitalism in practice. More young Africans need to become Impact Entrepreneurs, carrying out capitalism with heart and a focus on solving social problems. Impact entrepreneurship will ensure a new generation of African business leaders who uplift their communities and in the process uplift themselves. A new Africa is possible through entrepreneurship with heart.